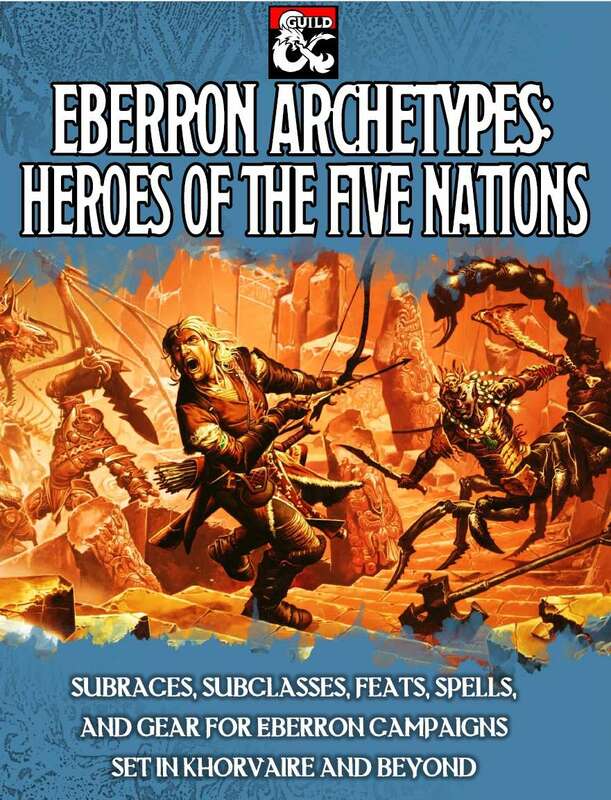 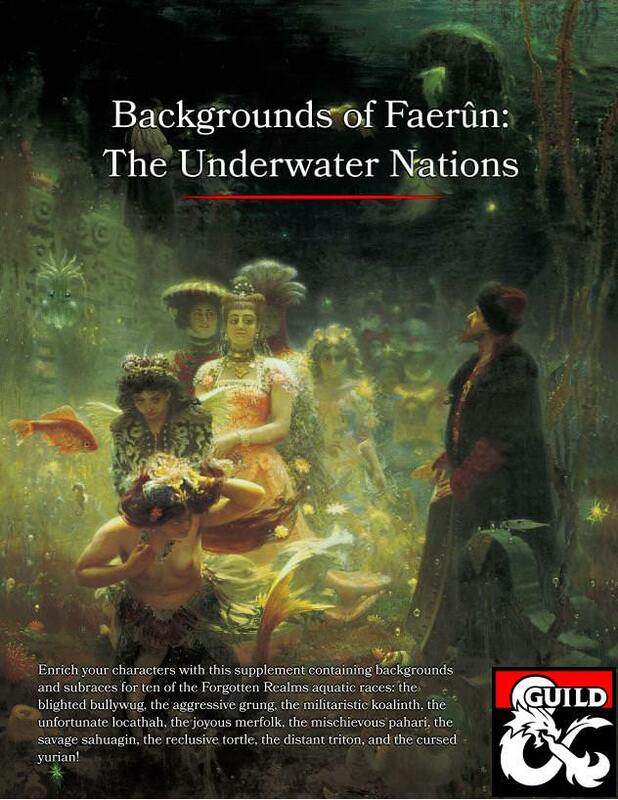 Inside you'll find resources to help you roleplay many of the aquatic and amphibious races from many of the regions in the Forgotten Realms. 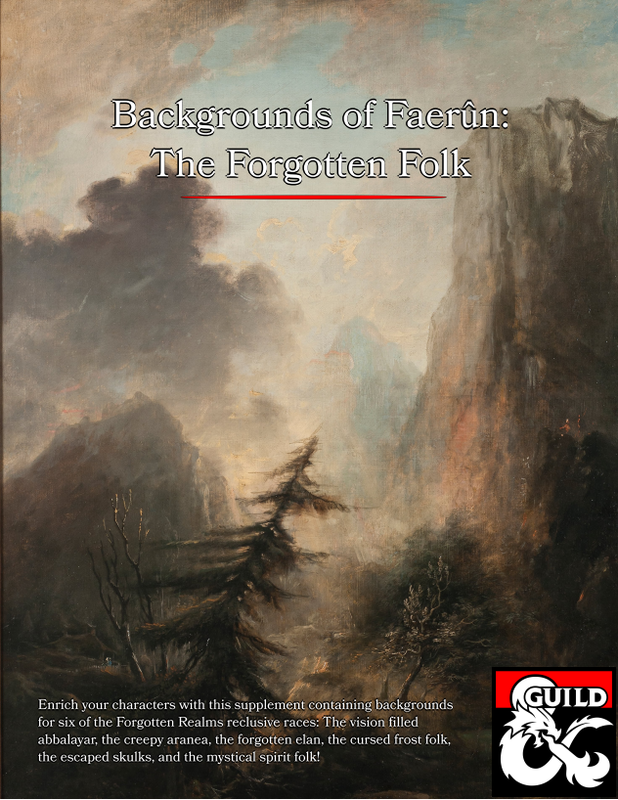 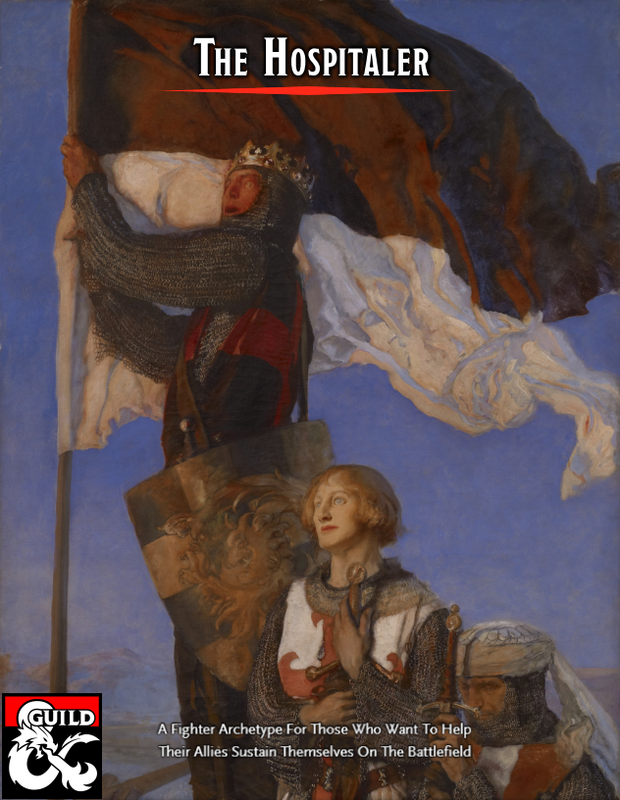 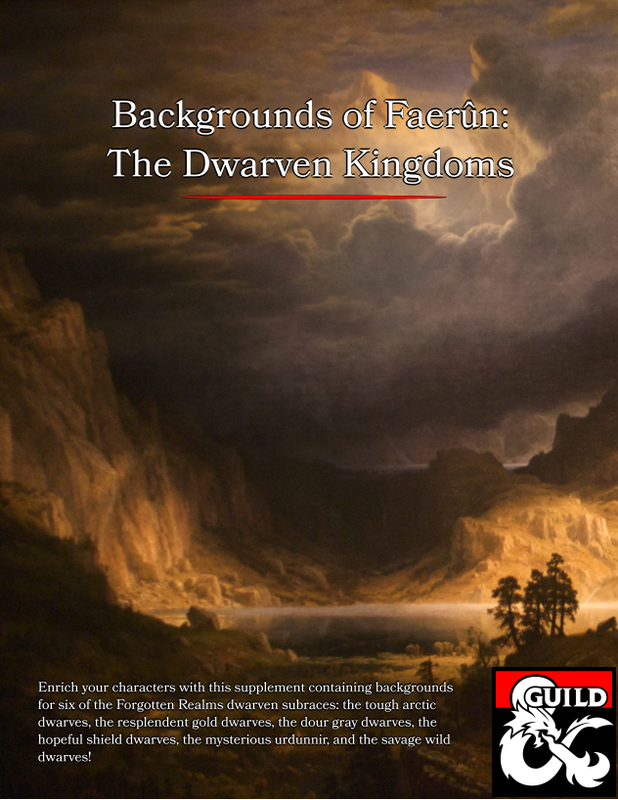 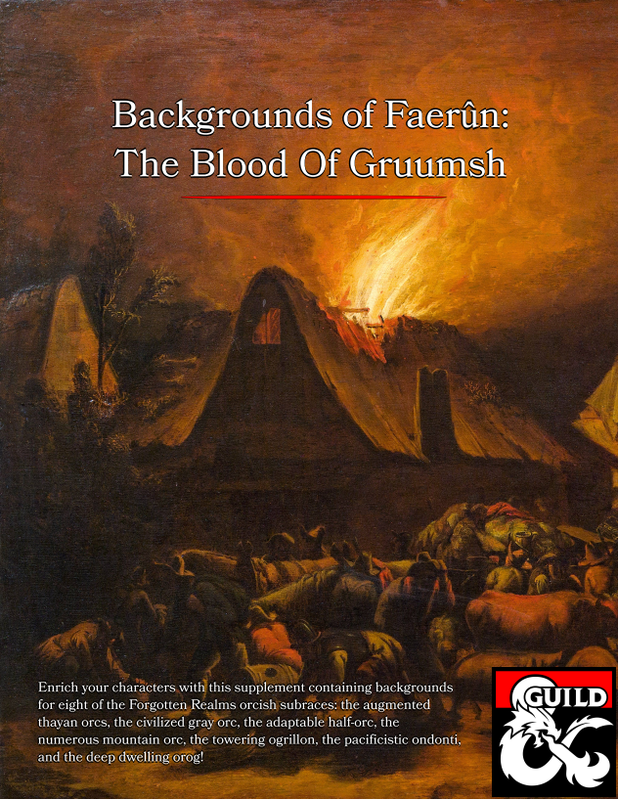 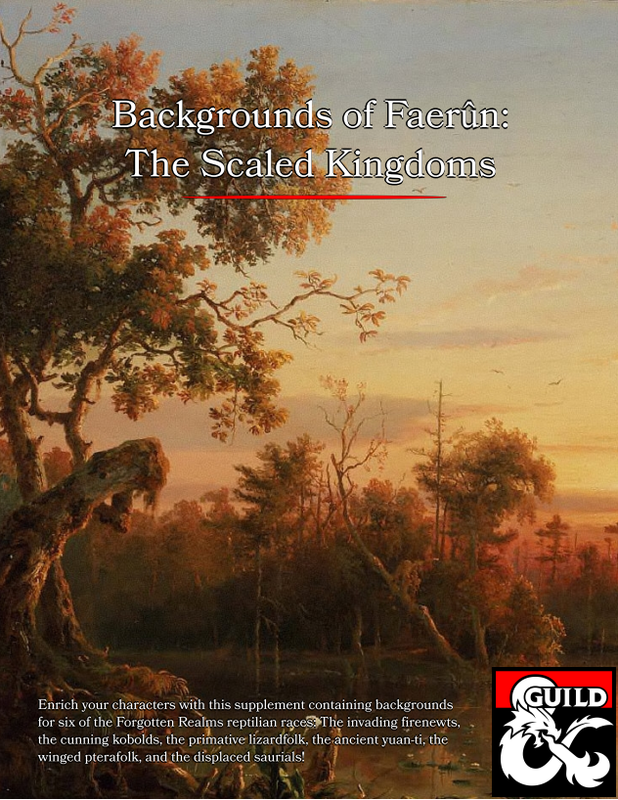 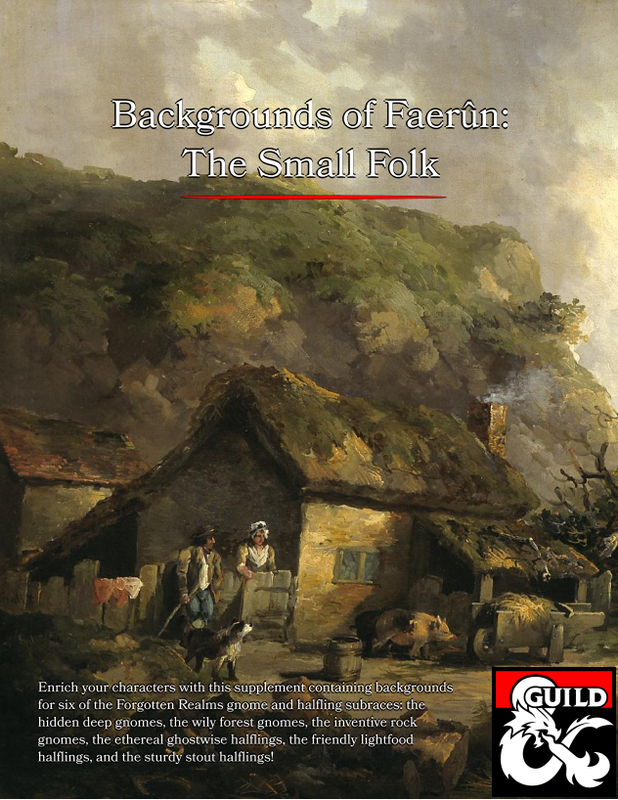 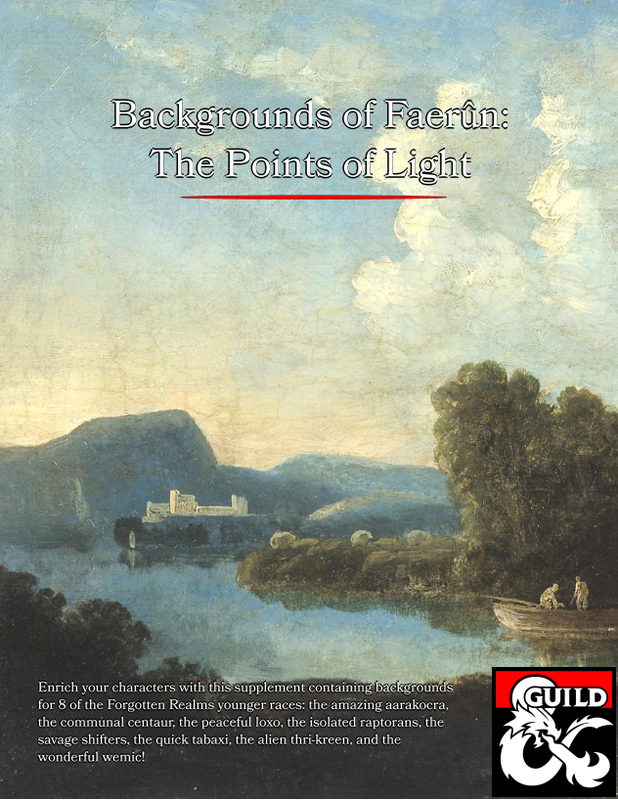 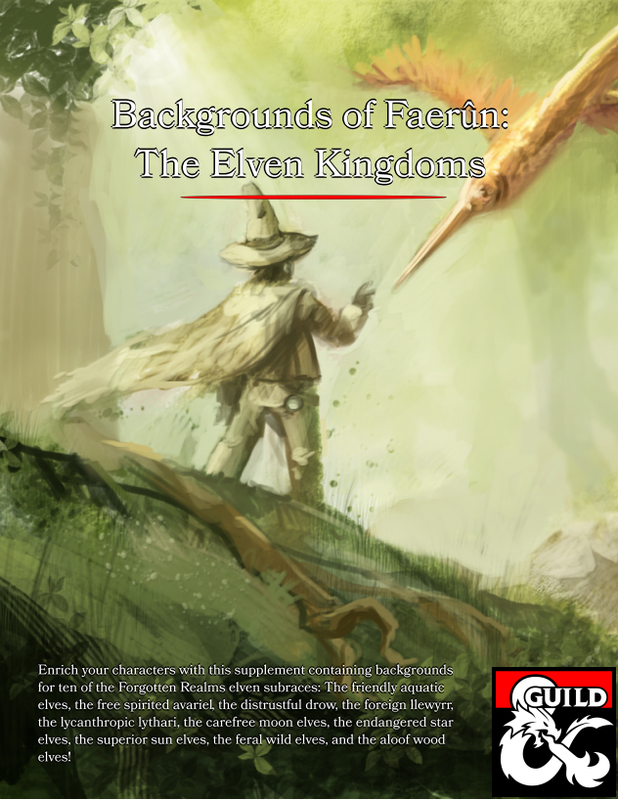 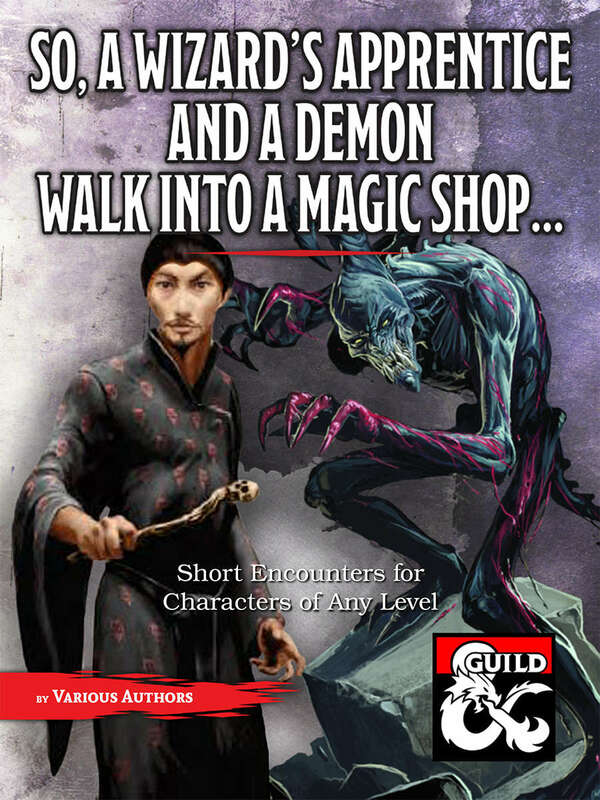 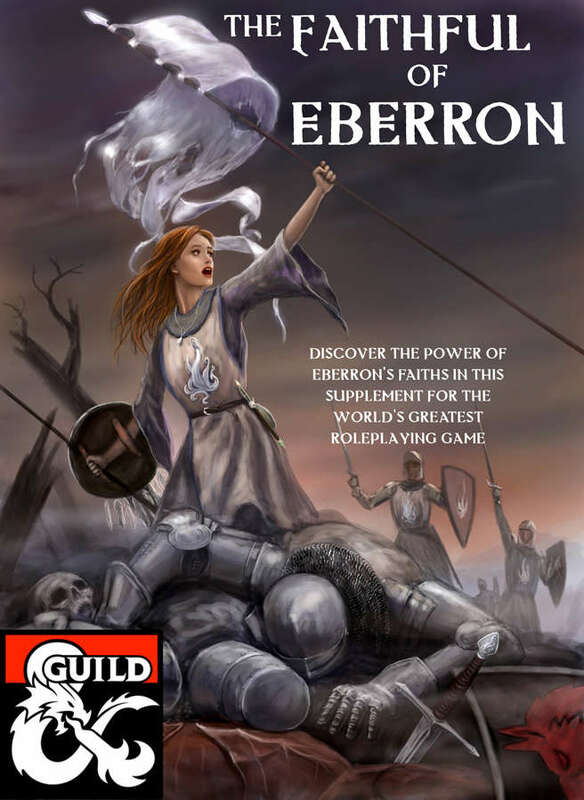 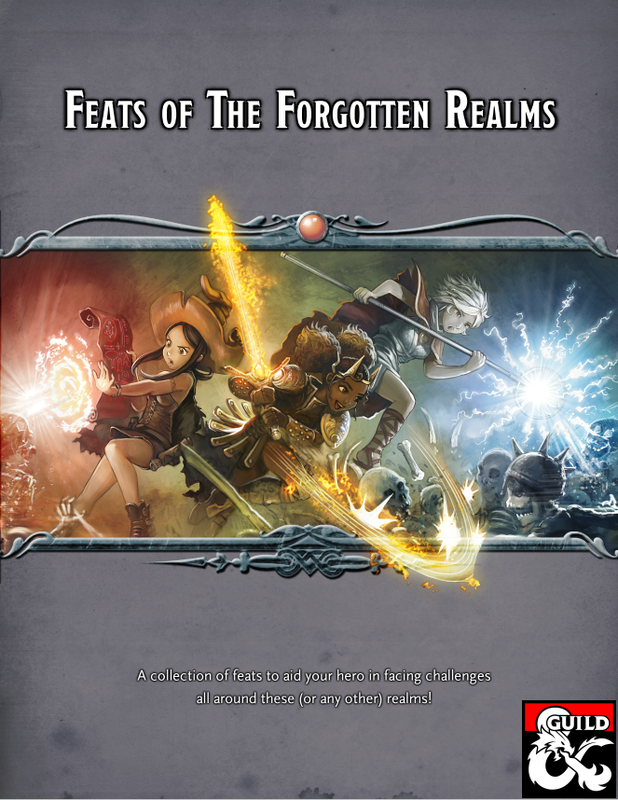 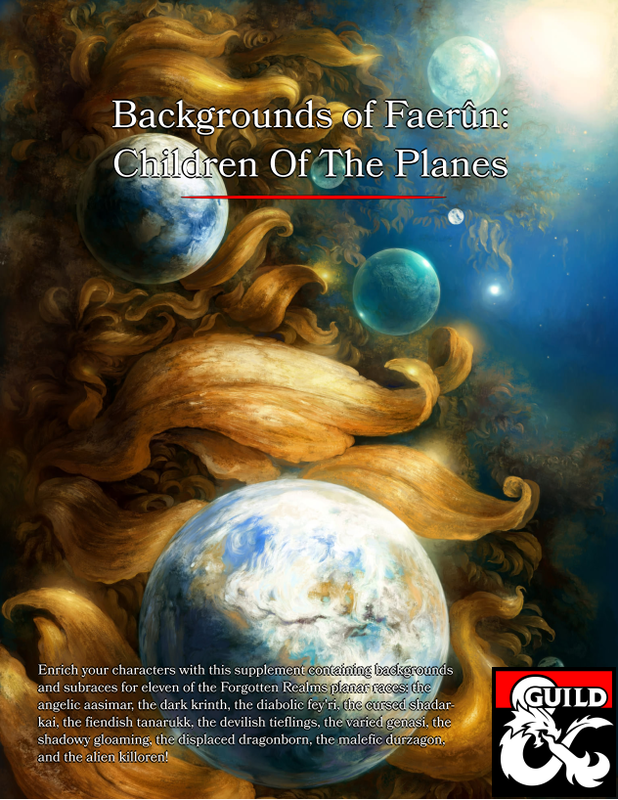 This supplement is standalone, but works with the entire "Backgrounds of Faerûn" (available on the DMs Guild) line. 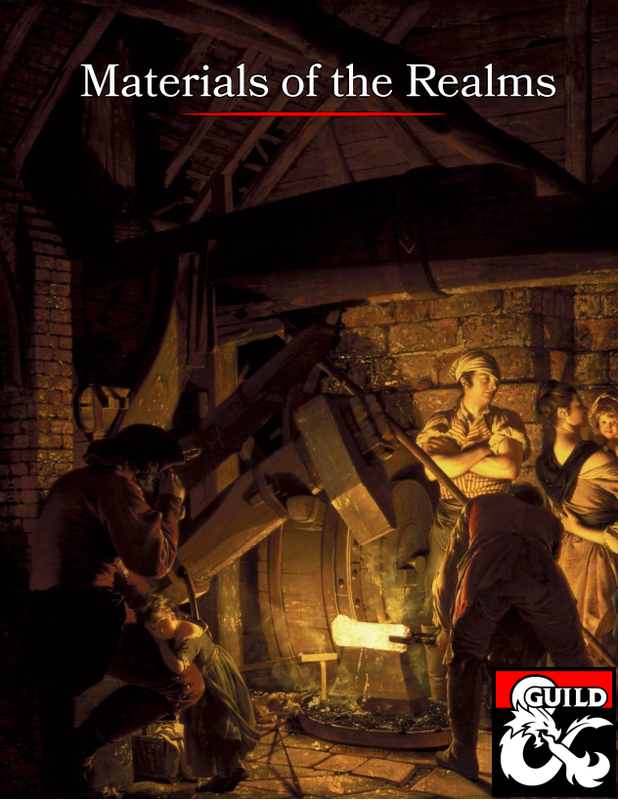 While you're at it, check out our other titles!